Yesterday my friend Charlie Petersen and I hung more than 35 of our quilts at the Uptown Dental Clinic in Port Townsend, Washington. 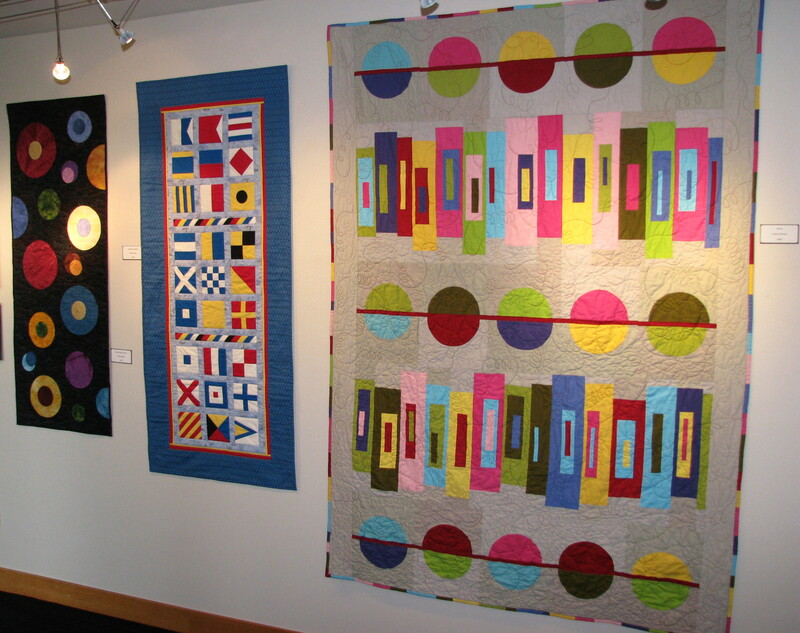 The quilts will be on exhibit from April 15 to July 11 this year. If you are in the area, do come to the show. Details are under the Calendar page. Here are three photos after we hung the show. The lighting isn’t quite right yet — the Clinic staff will adjust the lighting next week, now that the quilts are hung. But I took these photos today as we finished putting up the quilts. 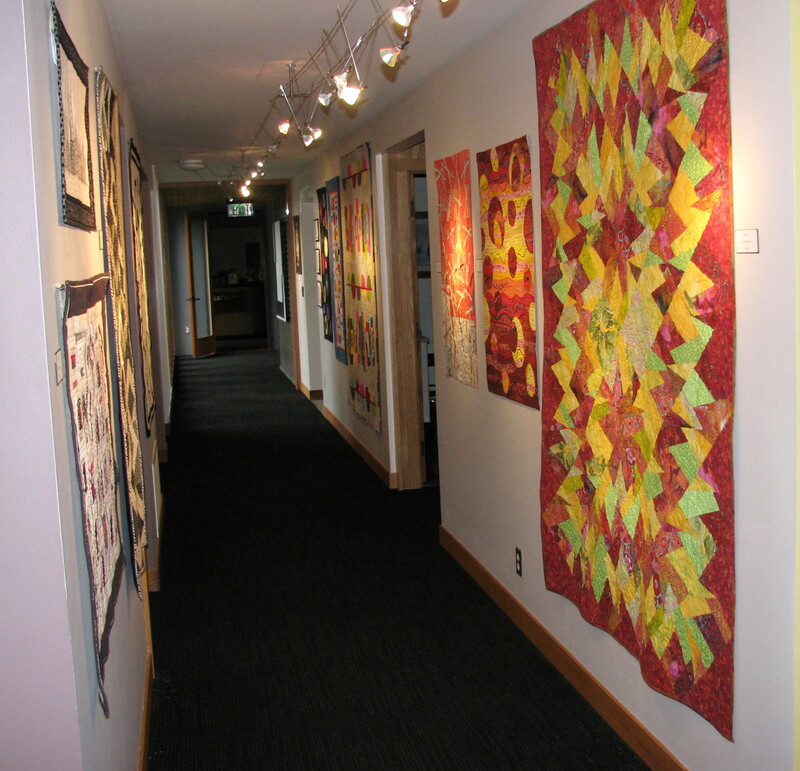 The main hallway – quilts from one end to the other. 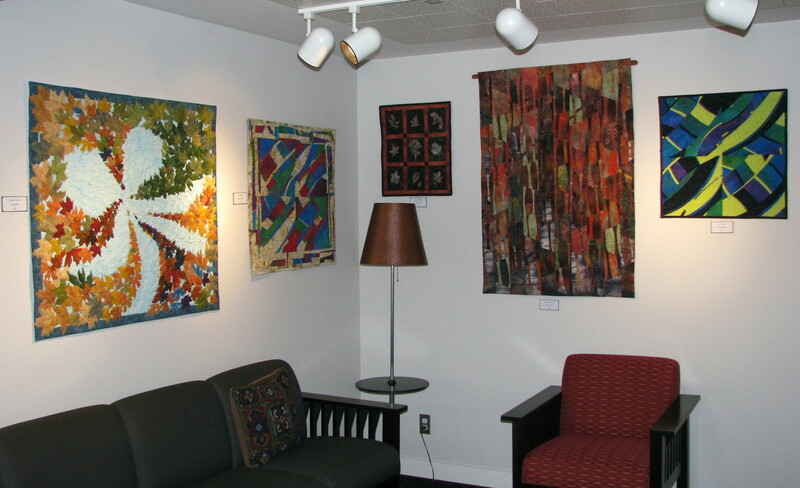 The Clinic staff loves all the color quilts add to their environment. We love them for giving us the opportunity to take our quilts out and show them off! And a shot of one area in the hallway. Charlie has been exploring modern quilting lately; the one on the right is one she finished a couple of months ago. This entry was posted in Art Quilts, Contemporary Quilts, Quilt Show, Quilting and tagged Art quilting, Quilt shows on April 13, 2013 by Shirley at Mystery Bay Quilt Design. These photos are a lovely tease and I look forward to visiting. I could not attend the nighttime reception last time your quilts were on display, so I dropped in during the day. I hesitantly asked if I could see the quilts and the receptionist was delighted that I had come and encouraged me to roam the waiting room and the corridors to enjoy the show. The lighting was great. So please drop in the next time you are on Laurence Street in Uptown Port Townsend. Or make a special trip; it’s worth it. Yes, isn’t it? I am very proud of the staff at my dentist’s office — they have many different artists with rotating exhibits of 2-3 months. No cost to the artist and the staff is so supportive and seems to really appreciate the art. In addition to the artist’s reception that they pay for, they must have to repaint the walls frequently due to all the holes we artists make when hanging our stuff!